Quaker Lacrosse Camps and Clinics are designed to enhance your individual fundamentals and overall skill set, presented with a hands-on approach from the entire University of Pennsylvania Lacrosse coaching staff. 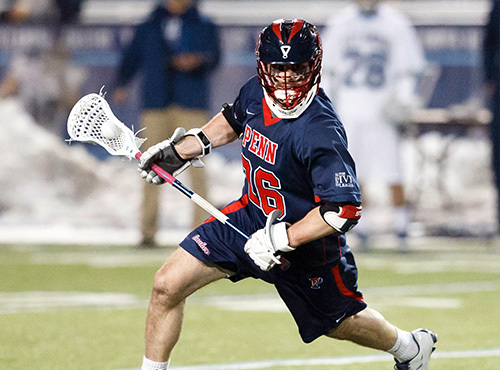 Instruction provided by Penn Players and Coaches is structured to take your game to the next level. The University of Pennsylvania Quaker Summer Showdown is open to any and all boy’s High School and Club Teams. Teams will have the chance to play on historic Franklin Field as well as other “Top Notch” fields at University of Pennsylvania. The Quaker Summer Showdown is open to ANY and ALL youth boys lacrosse teams in the graduating classes of 2019 to 2022. Quaker Lacrosse Camps/Invictus Lacrosse LLC offers youth camps and clinics throughout the year. All camps and clinics are open to any and all interested campers, limited only by number, grade level and graduation year, gender, and/or position. Advertisement Directed Toward a Particular Audience: An institution may advertise or promote an institutional camp or clinic toward a particular audience (e.g. elite camp), provided the advertisement or promotion indicates that the camp or clinic is open to any and all entrants (limited only by number, age, grade level, and/or gender).